These products are featured in our 2015 Holiday Gift Guide. I LOVE coffee. Which I have mentioned more than a time or two. When my daughter has school, I take her in the morning and then I sit at my dining room table to do some work. My son has his breakfast right next to me and has knocked over my coffee once or twice. Not only does this waste my coffee, more importantly if it is too hot it could hurt him. What to do?! Insert The Mighty Mug. Mighty Mug is the innovative mug that grips to your desk when knocked into. Say good-bye to your old mug that falls over and spills. Desks of the world rejoice! I was so excited when I received the opportunity to review this. Developed by a team of industrial designers and mechanical engineers, Mighty Mug, is the world’s only Mug that grips to your desk when knocked into, but lifts naturally. Mighty Mug uses patented Smartgrip Technology that is sure to excite and amaze your friends and family. Of course I was skeptical too, but check out the demo below! Make sure to follow Mighty Mug on Facebook, Twitter, Instagram, YouTube, or Pinterest for new product updates and fun contests! I have included Mighty Mug in my Holiday Gift Guide because it is perfect for anyone on the go, the coffee lover, etc. 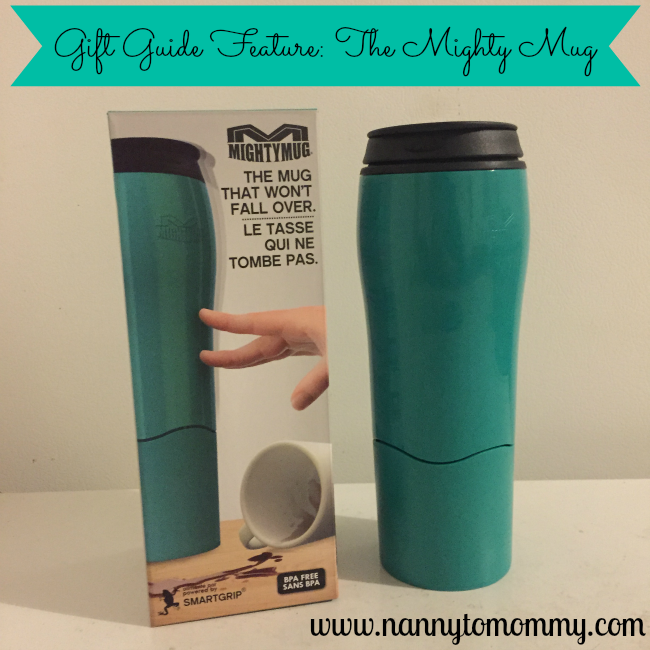 Whether you are looking for a vacuum insulated mug to keep your beverage warm on the go, an ice tumbler for those hot summer days, or a travel mug to fit your single serve coffee machine, there is a Mighty Mug tailored to your needs. And in all different colors too! What do you think of The Mighty Mug?